We're the Berklee Faculty Union, established in 1986, a chapter of the American Federation of Teachers, Local 4412, AFT-MA, AFL-CIO. For the Berklee faculty, our union is imperative. Through our collective efforts, we’ve lowered our classroom hours, assured our pay is acceptable, and protected our best interests in contract negotiations. We’re backed not only by each other, but by the resources and skills of the AFT. Without our union, we’d go backwards. Let’s keep going forward. Elected committee members & representatives. Essential documents for viewing and download. Our contract, by-laws, etc. The National Center for Collective Bargaining in Higher Education and the Professions holds an annual conference convening hundreds of higher education administrators, union representatives, faculty, scholars, graduate students, and attorneys. Your Berklee Faculty Union contingent was David Scott (Councilor-at-large), Will Silvio (assistant to the President), Stephanie Reich (Councilor-at-large), Andrew Shryock (Councilor-at-large), and Danny Harrington (Executive Vice President). Disability Services emails you a notification about a student. Your department chair requests your input on a spreadsheet. Both contacted you through your “Berklee” email — hosted by Google, and you must view those documents on GoogleDrive. Last Thursday, the Union Executive Committee concluded four consecutive weeks of Union-initiated discussion with College administration on topics related to barriers to student success at Berklee. The Union requested these meetings because many faculty report that their students have needs in the areas of access and support. Specific topics included universal access to physical facilities (Jan. 31), learning support programs (Feb. 7), psychological support programs (Feb. 14), and the Early Alert system (Feb. 21). The image that emerges reveals sustained and substantive investment of physical, financial, and human resources. Yet challenges persist. Hiccups, too. On January 28, representatives of Berklee Faculty Union leadership met with the Executive Committee of the Board of Trustees. Senior administrators of the College and Conservatory were also in attendance. The two groups met several years ago, and since that time, the Union has sought to establish an ongoing dialogue, in order to share faculty perspective on long-term planning and institutional strategy at Berklee. Have you visited the Berklee Counseling Center and Health and Wellness Center recently, at 54 and 32 The Fenway? Did you notice that they are not Universally Accessible? The Berklee Faculty Union will be meeting on Thursday with the administration to present our concerns about this situation, and to discuss when the College will make these important offices fully accessible to all. We will be expressing how passionately we feel about this, and that we hope to work together with the College to find solutions. 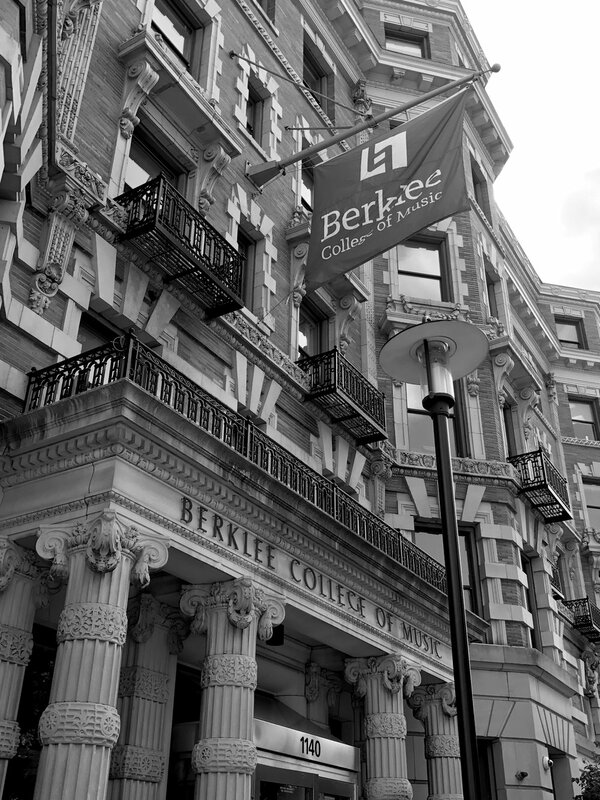 When a person becomes a faculty member at Berklee College of Music they can choose their level of membership within the Union.